white supremacist, capitalist, and and and and society. and want to grow in community with you on a deeper, more intimate level. 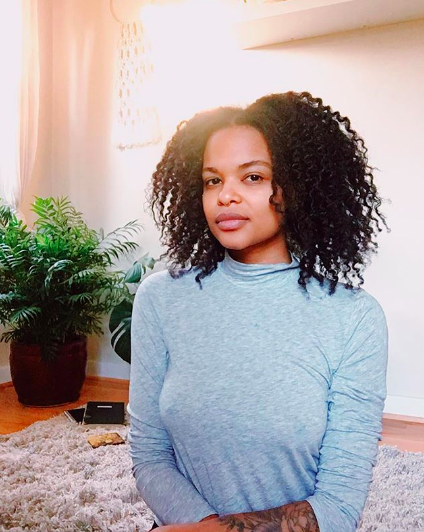 The Vision of Black Femme Elevate is to be a mastermind support group for black femmes by black femmes; to be accountable to and for one another’s holistic wellness and to encourage and promote ongoing learning and growth within the community and the individual’s respective field of expertise. We acknowledge that each member of this community is a movement by themselves, but we strongly and fiercely acknowledge that we are a force together. We understand that cishetwhite supremacy believes that our individual success is bound up in its affirmation and approval. Black Femme Elevate is our intentional investment in our own and each other’s work and wellness as a self-affirming statement that as long as we have each other - nothing and no one can close the door on our rise. Willing to contribute to & participate in one call/discussion a month, offering feedback and insights at an equal and fair energetic exchange. Willing to offer wisdom/knowledge/information to all group members that can support them in growing in their work, their business, and their overall wellness. Willing to share both their online and social network for the elevation of all members in this group. This is NOT an application. Again I reapeat! This is NOT an application. This form is an opportunity for us to gather some basic information about you to share with the group when we do introductions in the coming weeks. Please feel free to leave any space blank that does not apply to you. Additionally, if you have any questions, you can contact EbonyJanice at freepeople@thefreepeopleproject.com or Ev’Yan Whitney at evyan@sexloveliberation.com || Once you’ve filled out this information - you will receive an email with next steps. Thank you for seriously considering this invitation. EbonyJanice & Ev’Yan are so excited to be creating this shared growth space with US in mind. Our collective vision is to LEVEL UP and ELEVATE with Black Femmes all 2019 (and onward). We will send you an invitation to a Slack (free online/app based) community & your introduction email will include details on how to use the Slack Community (a brief tutorial if this is your first time using Slack) & instructions on how to access the shared Google Drive + a Calendar Invitation to pinpoint a collective time we can all meet to Zoom (a video conference app) in the coming weeks.